Peter Marino, one of the best interior designers in the world, is the principal of Peter Marino Architect PLLC, an internationally acclaimed architecture, planning and design firm founded in 1978 and based in New York City, with several offices around US, like Philadelphia, Miami and so on. Marino’s designs can be usually. Patrick Jouin was born in Nantes, France, in 1967. After graduating from the École Nationale de la Création Industrielle (ENSCI) in 1992, he started to design for Thomson multimedia under the Art Direction of Philippe Starck. The designer founded his own agency in 1998 in the 11th arrondissement in Paris and in 1999 he met Alain Ducasse with whom he collaborated designing many restaurants such as the Alain Ducasse au “Plaza Athénée”, “Be boulangerie-epicerie”, in Paris, and Mix New York restaurant. Born in Oviedo, Spain but currently living in Milan, Italy, Patricia Urquiola is a famous interior designer, architect and product designer. She is known internationally thanks to her great designs that are suitable for so many projects. She also works a lot with known furniture companies such as Molteni or Boffi. Internationally acclaimed French creator, designer and architect, Philippe Starck is an untiring and rebellious citizen of the world, who considers it his duty to share his ethical and subversive vision of a fairer planet, creates unconventional places and objects whose purpose is to be “good” before being beautiful. Most of his designs have become cult objects, and his hotels are timeless icons that have added a new dimension to the global cityscape. An enthusiastic advocate of sustainability, this visionary recently developed the revolutionary concept of “democratic ecology” by creating affordable wind turbines for the home, soon to be followed by innovative wooden prefabricated ecological houses and solar boats. Born in Germany on 23 of October, 1969, Philipp Mainzer studied product design at Central Saint Martins College of Art and Design, and architecture at the Architectural Association both in London. In 1995 Philipp Mainzer co-founded with Florian Asche the modern furniture brand e15. Named after the postcode of the East London Borough of Hackney, where was Mainzer’s first studio was located, the company was mainly known for the solid wood table Bigfoot and the stool molar. 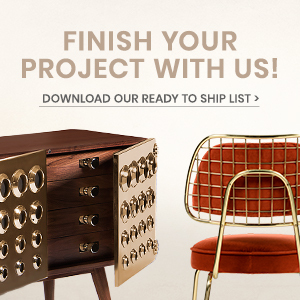 Both pieces of furniture have now become design classics. Piet Boon is one of the most relevant and iconic designers of our time, and belongs to most famous Dutch architects and interior designers. Together with a creative director Karin Meyn, Piet leads his own team of designers, top interior designers and architects. Those who wonder how Piet Boon succeeded to break through as a top designer not only in the Netherlands, but also internationally should look at his collection of furniture and home designs will provide the answer. Piero Lissoni was born in 1956 and is one of Italy’s golden boys. He is a world-famous architect and designer who graduated in 1978 from the very prestigious Politecnico di Milano. In 1986 He opens Lissoni Associates with Nicoletta Canesi and ever since that he has lead groundbreaking projects. Today his studio is made of a staff of over 60 people, and has projects that cover all design fields such as: architecture, interiors, industrial design and graphics project. 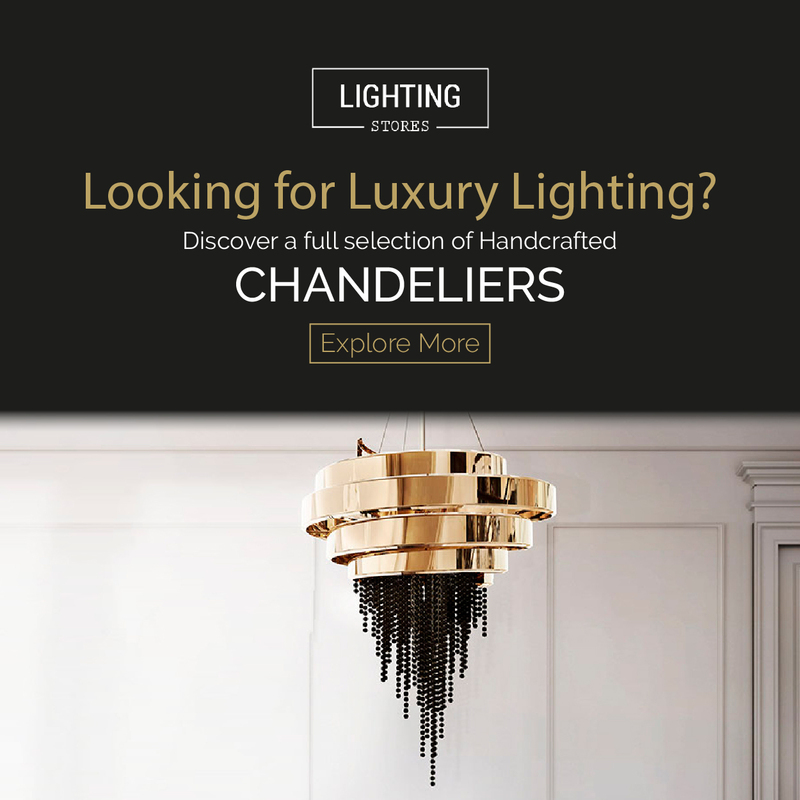 Founded in New York in 1984 by one of the top interior designers and architects David Rockwell, the Rockwell Group creates the most extraordinary designs all around the world. The group of over 250 people with offices in New York, Madrid and Shanghai specializes in a wide array of work from luxury hospitality, cultural, and healthcare projects, to educational, product, and set design. Some of the greatest works created by David and his team include interiors of Nobu and the W Hotels, the exuberant Mohegan Sun Casino, the pop-tastic scenery for the Broadway musical Hairspray and the sublimely hilarious high-modern sets for Team America: World Police. Rose Uniacke isn’t only an interior designer, she’s also a lighting and furniture designer – for individual clients as well as for her showroom – and a dealer in both antiques and pieces by other, usually well known, designers. Currently married to David Heyman, the producer of the Harry Potter films, Rose became known to a wider public after taking over the decorating job of Beckham’s house, a project previously given to Kelly Hoppen. Sabina Kober is one of the best Interior designers and stylists from Germany. She has studied Harp, church music and conductorship at the University of Music and Performing Arts Munich. Now with a long professional career as Interior Designer, she finds her inspiration to create rooms in the harmony and aesthetics she finds in the music! In 1986, she and her longtime partner interior designer Norbert E. Kern, founded the KERN-DESIGN, the studio for holistic interior design, in Frankfurt am Main. Santiago Calatrava was born in Valencia, Spain, in 1951. Architecture and engineering are the two areas where Santiago Calatrava is known for. He is from Spain and moved to Zurique after finishing his degree in architecture, in 1974. There he studied engineering. During his degree in architecture he and some fellow students published to architecture books about the vernacular architecture of Valencia and Ibiza. Calatrava is also a sculptor and a painter, which reveals his strong artistic vein. Reference in the field of decoration, Sarah Lavoine created its interior architecture firm in 2002. In ten years, her name has become synonymous with Parisian taste, contemporary aesthetics and craftsmanship of excellence. Sarah Lavoine defended a new art of French living, which, combined with his talent passion for color, magnifies living areas entrusted to it. The young woman also connects the personal creative projects. The iconic brand CFOC (French Company of the Orient and China) called this year in his knowledge of sourcing and decoration to rethink space and range of interior luxury. Sarah Richardson is an award-winning designer, known around the world for jaw-dropping transformations that turn ordinary spaces into magazine-worthy rooms with an incredible wow factor. She is one of the Canada’s best interior designers. Sarah started out in 1995 working behind the scenes as a prop stylist and set decorator, but it wasn’t long before she’d switched to the other side of the lens and was parlaying her innate charm and inimitable style into a burgeoning on-camera career. Graduated from the Faculty of Architecture and Urbanism of Santos, Sig Bergamin signed residential and commercial projects throughout Brazil and even Europe and the United States, with a style he himself states as a summation of eclecticism, ethnic diversity, humor and versatility. The architect has participated in exhibitions and architecture country’s most important decoration such as Casa Cor, show houses and Showcases and his work has gained prominence in books, magazines, newspapers, TV and radio programs. Gallery Sofie Lachaert specializes in introspective research in the fields of contemporary design, art and craft. Objects as art. Art as object. Questioning function and representation, thoughtfully chosen objects communicate with space, interiors and the human body. The gallery is an important platform for designers who freely cross the borders between applied and visual art, offering visitors an overall picture of work by prominent designers from all over the world and from a vast range of disciplines. 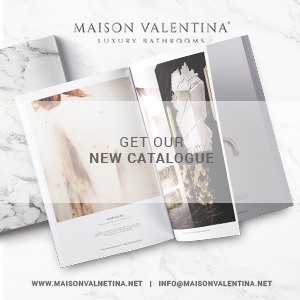 Sophie Paterson Interiors has begun in 2008, At the relatively young age of 32 her office is located in London and Surrey and it´s considered one of the top interior design studios in the UK. She has been entirely focused on her goal to build an interior design brand that is respected for its modern classic style. The company is famous for working on high-end projects in the residential and commercial sectors abroad Britain. Steve Leung, an icon in Chinese architecture, established his self-titled architecture and urban planning consultancy in 1987. Headquartered in Hong Kong, Steve Leung Designers Ltd. has branch offices in Beijing, Shanghai, Guangzhou and Chengdu. 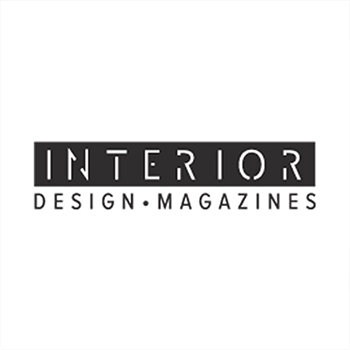 With over 400 highly-caliber staff including experienced and qualified architects and interior designers, the company is now one of the biggest interior design firms in Asia. For over twenty years, Kasler has created warm, inviting environments that strike a balance between elegant, traditional design and practical comfort. Her neutral palette, spiced with hits of color, creates warm spaces that are elegant yet inviting. Suzanne often asserts that “a room should be collected, not decorated.” Incorporating the personal collections of her clients with fine art and antiques, contemporary pieces and custom-designed furniture, Suzanne’s meaningful interiors straddle that rare middle ground between sophisticate and ingénue. She brings a comprehensive knowledge of interior architecture and decorative arts to her design work. Tadao Ando is a self-taught architect whose approach to architecture and landscape was categorized by architectural historian Francesco Dal Co as “critical regionalism”. He was raised in Japan and this country really shaped his style as an architect and designer through religion and other culture aspects. Ando’s architectural style is said to create a “haiku” effect, emphasizing nothingness and empty space to represent the beauty of simplicity. He favours designing complex spatial circulation while maintaining the appearance of simplicity. Timothy Corrigan would be the first to say that his interior design firm was launched with good fortune. An advertising executive, Timothy (who grew up in Mexico and California) lived in Paris in cosmopolitan style for several years. A friend asked Corrigan to design his apartment. Timothy discovered a new passion and in just a few years has made first the real estate business, and now decoration and restoration of his highly successful career. Tom Dixon is a British designer who is known across the world, his works have been acquired by museums across the globe including the Victoria and Albert Museum, Museum of Modern Art New York and Centre Georges Pompidou, Paris. Established in 2002, Tom Dixon is a British product design brand. With a commitment to innovation and a mission to revive the British furniture industry, the brand is inspired by the nation’s unique heritage and produces extraordinary objects for everyday use. Van Duysen got his start as an assistant to Aldo Cibic in the legendary Milan studio of Ettore Sottsass. In 1990, he went on to establish his own studio in Antwerp, Belgium. He comes from the long and rarefied line of architects who refuse to concentrate only on the shell and also project a sense of living that is as much inside as outside. 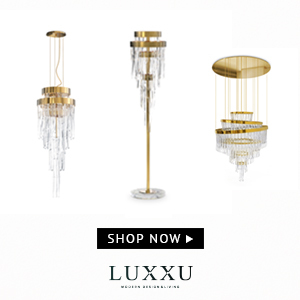 Van Duysen calls it the “art of living,” and he’s done much to refine that art in industrial design, having created everything from slender outdoor furniture and earthenware containers to Swarovski crystal chandeliers. Walda Pairon is one of the best interior designers we can find in Belgium. And while antiques dealer and designer Axel Vervoordt still is the most recognizable designer of this country (he operates out of the Kanaal, a complex of restored 19th-century warehouses and grain silos in Antwerp), it would be remiss not to mention his compatriot Walda Pairon. Pairon, who lives and works in a small town north of Antwerp, is one of Belgian’s most influential designers and offers a restrained version of Belgian luxe where materials and light take center stage. Luxurious, witty, and oh-so-British, the architectural-design studio, Waldo Works, is the epitome of “design with a twist.” Translating brand identity into engaging design perceptions, the studio is truly dynamic, with a professional eye for details. Tom Bartlett founded Waldo Works over ten years ago and works with partners Sasha von Meister, Andrew Treverton and staff across a wide variety of projects including interiors and architecture as well as custom products and furniture.